Well, this is pretty impressive – according to an email from Get Glue, their iPhone app has [update] contributed t0 800,000 ratings/check-ins in its first 6 days (here’s our review). While not all directly from the app (see the comments) no matter how you slice it, that’s pretty good engagement. 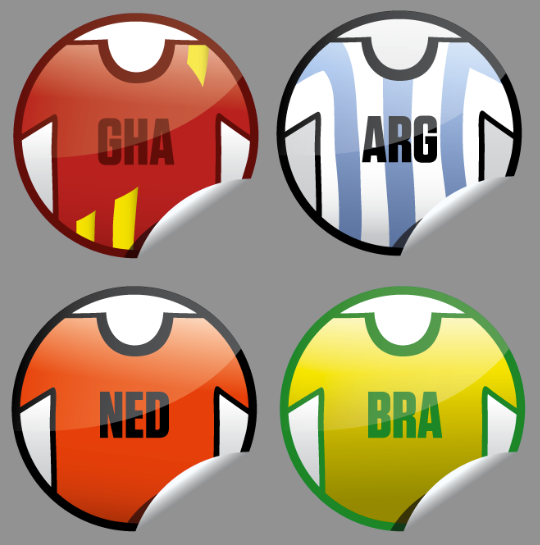 Users can earn a vuvuzela sticker for checking-in to any World Cup game. They can also earn special DIEHARD stickers for their team by checking-in and leaving the comment ‘Go team name’–for example, GO Argentina! We have unique stickers for all eight teams in the quarter finals. Users can also earn a “GOOOOOOOOOOOOOOOOOOOAL!” sticker for checking-in and commenting. Once users earn seven digital stickers, they can request free physical copies of their stickers that GetGlue will then mail out (something they have been doing for awhile apparently).